1. You should avoid giving details. 2. You should use Picture Frame Approach. 3. Tell your educational qualifications. 4. Tell your strength and weakness. Did you bring your resume? When interviewer asked this question then you reply would be 'Yes'. You should always go for interview having 2 or 3 extra resumes with your all documents. But you show your resume to the interviewer only when he/she asked for it. Whenever you go for any interview in the company, one day before interview you should check all the details and growth of that company/organization. And when interviewer asked this question to you, then you simply talked about the services, products, history, growth, human resources, deals, etc. of the company/organization. In the end, you should also say to the interviewer that you would also love to know more about the company. Firstly you will try to give the answer of this question with a question. The question is that are you talking about my whole career experience or are you talking about my experience in some specific area of interest related to the job offered by your company. After this, you have to describe your experience as per the interviewer reply to your question. According to your definition of success, how successful have you been so far? The reason behind ask this question is that interviewer wants to know that you are enough mature and self aware to do this job. Define the success according to your experience and then define your career growth to the interviewer. In your current or last position, what were your most significant accomplishments? In your career so far? When interviewer asked you this question then you have to give 2 or 3 accomplishment statements which you have got in your career. Had you thought of leaving your present position before? If yes, what do you think held you there? 1. You tell the interviewer about the positive aspects of the job. 2. You didn't have the bright opportunity before this. 3. You have a learned a lot during this period of time. Don't give the interviewer a lot of situations in which your work was criticized. This will give a bad impact on your ability. So, give only 1 situation of this type and also explain the interviewer that how you have corrected your work in that type situations. If I spoke with your previous boss, what would he or she say are your greatest strengths and weaknesses? Tell the truth frankly. Be definite about what your previous boss thinks about your strength and weakness. Tell your weakness in such a way that it also impact your positive attitude. Don't describe your physical personality. This question is related to your nature and relationships with clients and employees. So, give a brief description of your personality. Your strong points must be related to the present job offered by the company. As nobody is perfect, so you have to mention your weak points which gives a positive in disguise. 2. Your Leadership Quality (Monitor in School Days). 3. Talk about your extra curricular activities. You should answer this question in such a way that you are looking his/her interests in this job not looking your personal interests. You can use various words in your answer which shows a good impact on the interviewer. These words are relationship, team work, good support, growth of company, etc. Your answer must be like this. It would not take so long to make a meaningful contribution to our firm as I have enough experience, good communication skills, learning attitude, etc. I would stay with your company as long as I felt that I am working for your company with full dedication and hard work. If you have never supervised, how do you feel about assuming those responsibilities? Why do you want to become a supervisor? For the growth of my career and also to build a team by which we can create our own empire in the global world. What do you see as the most difficult task in being a supervisor? The most difficult task in being a supervisor is planning, plotting, team work and implementation of planning. Describe what would be an ideal working environment? An ideal working environment is working in the team. Do you prefer working with figures, or with words? Give the answer of this question according to the job requirement. You can also tell him that both figures and words are prefer. What kinds of people do you find difficult to work with? The people who are working in company only and only for their personal growths, the people who comes to company for just sitting nine hours to complete their shifts only, people who are lazy, people who are self centered, etc are those kinds of people, we find difficulty to work with. Give the answer of this question according to your strengths and skills. 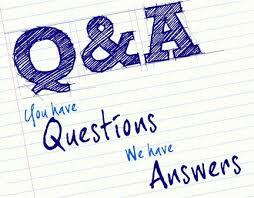 The above technical interview questions and answers helps you to crack the technical interviews. These questions and answers gives you the basic idea that how the technical interview is conducted by the interviewer.